I did not know about the trails. 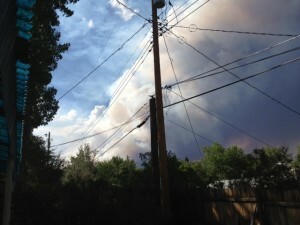 The wildfire burned through the neighborhood that had served as a refuge for me the year after my husband died. Tired, I had rented a townhouse after we moved across the country from that place of ghosts and trouble. We lived for a year surrounded by meadows; a quiet, orderly subdivision with just enough mice to keep the cats occupied. I walked its streets, up and down the hills, admiring the wild sunflowers. I remember it as an oasis in the chaos of living a life. 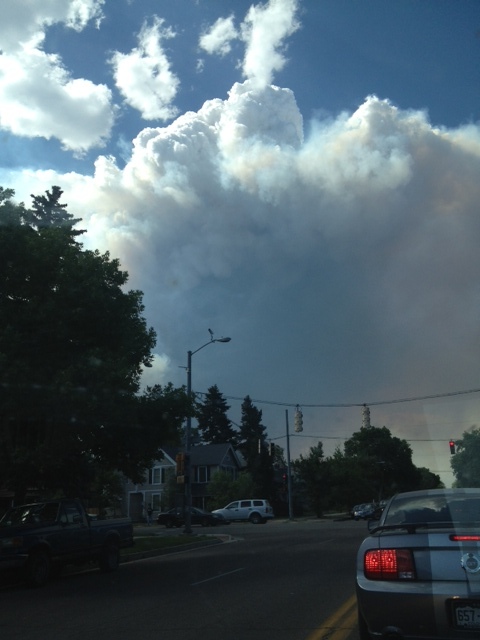 That is until chaos, in the form of high heat, low humidity and flames found the neighborhood this past week. I stand, stunned, in the familiar parking lot of the dentist office a week after the conflagration Sure, I saw the pictures of the fire rampaging over the ridge and the evacuees retreating from the blazing mountains, but it didn’t register until I saw the familiar neighborhood charred. The fields where I had learned the names of western wildflowers are black and bare. The park I ran by when training for a race lies in ruins. Fire burns like a capricious child throws a tantrum. Grass burned to the edge of the main road, but weeds growing in cracks in the pavement not ten inches away are untouched. Stands of scrub oak float like islands in a sea of soot. A friend’s house stands with no visible damage next to the remains of the neighbor’s home. I had only seen the flames once, from the safe vantage point of a diner on the second day of the fire. I was nervous, but it had not yet grown into the consuming terror it would become. In time, the yellow, blue and black bruises on the sky ballooned and blended into a besieging demon, covering half the sky with its menacing darkness, seemingly reaching smoky hands towards our homes. Some of us breathed through wet cloth to filter out the smoke and the very air smelled like a campfire. The flames exploded in the high winds on Tuesday at 4:00 PM and thousands upon thousands of people were forced to evacuate their homes. If I still lived in that townhouse, I would have gone to work and not been allowed to return. My beloved cats would have been on their own. 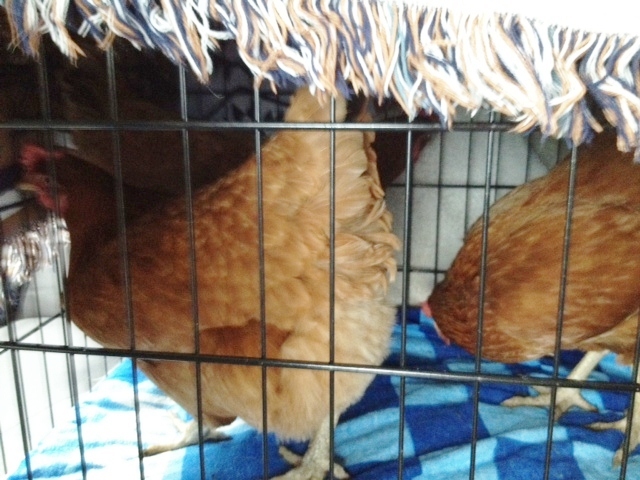 Panicked by Tuesday’s sudden evacuations when the fire broke through the city’s defenses, I sent my chickens to a rural coop, like WWII children evacuated from London. What if we were next? 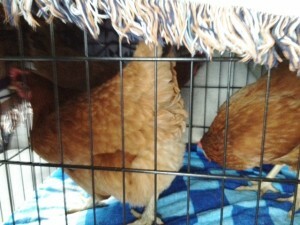 How could I transport four anxious birds, three cats and my belongings on 20 minutes notice? They opened their beaks to pant, held their wings from their bodies in the heat and struggled to maintain their footing in the cage. With every mile on the highway I wanted to take them home and spare them the unwelcome change, but I could smell the fire. And so we drove on. A relationship burned up in this fire too. A boyfriend ten months in the making demonstrated once and for all why we couldnʼt follow through on the dreams we had shared and the plans we had made. The containment lines could not hold, despite our connection. A fire doesn’t double back on itself. It uses up the fuel the first time. We canʼt go back. But I stood there today, staring at the charred fields through the dentist office window. “I never noticed the trails,” I said to the young hygienist. I wonder where they go. Your words describe the loss and devastation so strongly. I hope your chickens settle into their new ‘camp’ and that you and your friends are spared more loss. Sorry also about the loss of a new relationship. I have often come to the conclusion that love is not enough to make things work our practically.